NASA has released an incredibly detailed image of Mars' sand dunes. On Twitter, the U.S. space agency shared a photo of Mars' "barchan dunes," which have an elongated crescent form. The dunes, which are located near the Red Planet's Nili Patera, were the result of wind continuously and consistently blowing in the same direction. 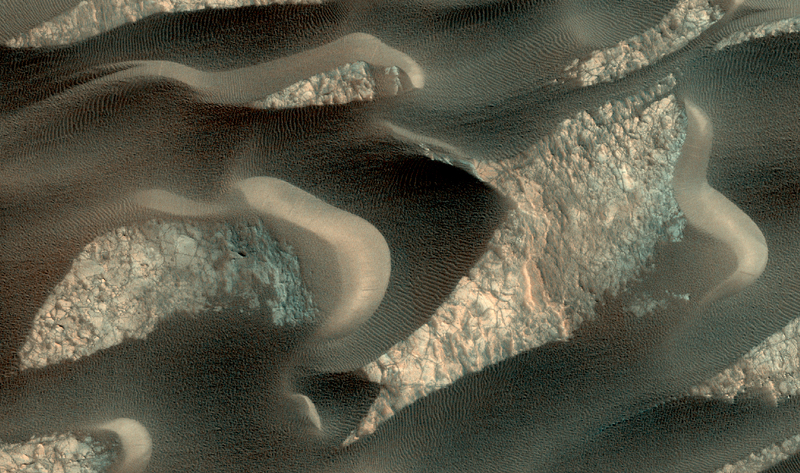 NASA revealed on its website that the orientation of the barchan dunes can indicate how they were formed. Wind blowing from right to left (east to west) likely created the dunes and continues to move sand grains up the longer dune slope, toward the top. This movement resulted to the small ripples seen on the slope. After the sand is pushed to the top, the grains fall down the steeper and shorter slope, which may explain why it has no ripples. This constant movement causes the dunes on Mars to slowly move over time. According to the High Resolution Imaging Science Experiment (HiRISE) website, Nili Patera is a region on the Red Planet wherein dunes and ripples are moving rapidly. HiRISE, which is operated by The University of Arizona, Tucson, observes this area every two months to see any changes over seasonal and yearly time scales. 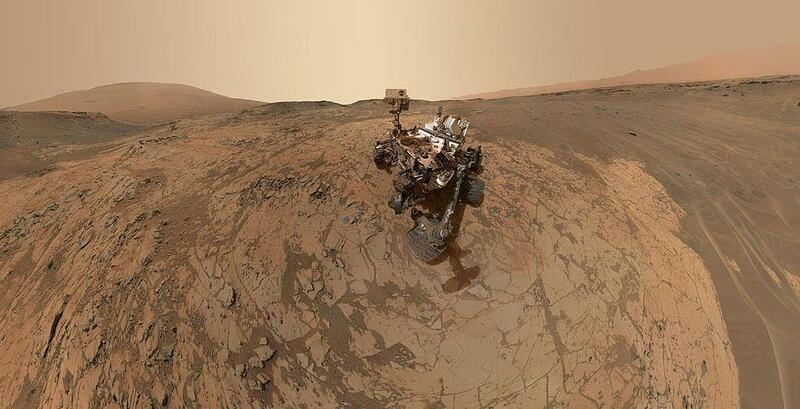 Meanwhile, NASA also shared a 360-degree view of the Red Planet's "Rock Hall" taken by the Mars Curiosity Rover. The panorama video was taken before the lander descended from Vera Rubin Ridge, a region of Mars' Mount Sharp that it has been observing and gathering data from for over a year. In the video, which was created from a panorama taken Dec. 19, the Curiosity Mars rover showed the area depicting its last drill hole on the ridge at Rock Hall, as well as the region it will be exploring next year called "clay-bearing unit." This was also its last shot of Gale Crater's floor until the rover begins to ascend in elevation once more. The Curiosity has been exploring Vera Rubin Ridge since September 2017. The rover is now headed into the so-called clay-bearing unit, more recently known as "Glen Torridon," which sits in a trough just south of the ridge, according to NASA's Jet Propulsion Laboratory website. Scientists are hoping to learn more about the ancient lakes that helped form the lower levels on Mount Sharp from data gathered from clay minerals in the unit.